Real Madrid couldn't come out of the Benito Villamarín stadium with a win tonight and had to settle for a single point after drawing 1-1 against Betis. The hosts grabbed the lead very early in the first half, but Benzema would draw things level deep in the second to rescue a point for the Merengues. 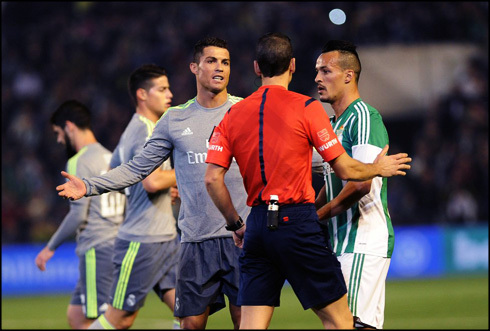 Real Madrid's hopes of winning the Spanish League title this season suffered another blow this Sunday night, after a very disappointing 1-1 draw against Real Betis. In a stage of the season where the Merengues couldn't simply afford to drop any further points in order to keep the title chase alive on both Atletico Madrid and Barcelona, the truth is that Zidane's men failed to deliver yet again and were unable to bring home the much-needed win. The hosts broke the deadlock in the 7th minute of the first half, but Real Madrid's reaction only started gaining shape perhaps a bit too late, when Karim Benzema finally scored the equalizer in the 71st minute of the game. If Barça now wins the game in hand they still have at their disposal, they'll set the gap to Madrid into a 7-point deficit. There are three things that are certain in life. Death, taxes and Real Madrid dropping points whenever their rivals do. Whether it's Barcelona (multiple times this season) or Atletico (0-0 draw today), Madrid never seem to be able to capitalize on their slip-ups and only seem to dig a further hole for themselves every time they have the opportunity to catch up. Needless to say, the already slim chances at a La Liga title may be far to gone now. That said, it was a wonder strike that did them in. A stunning volley from the edge of the box by Alvaro Cejudo flew into the top corner past an outstretched Keylor Navas. It was only 7 minutes into the game and Madrid were quickly forced out of their game plan and forced to really take the game to the home side. Unfortunately, as has been the case far too often this season, Madrid just couldn't finish. 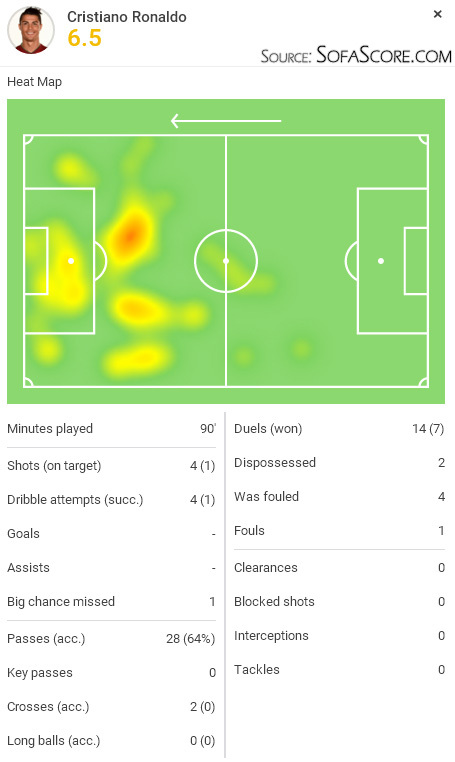 Ronaldo, Benzema and James (given the start for the injured Gareth Bale), all struggled to put valid efforts on target as former Madridista Antonio Adan smothered everything in sight. Ronaldo in particular was again poor, his finish has completely deserted him at times this season and while he can still be effective on his day, it seems the free-scoring Ronaldo of old is gone forever. Real Madrid could have evened it up in the first half from the penalty spot, but the call was never given after Benzema was clearly stamped on inside the Real Betis box. The visitors kept pressing in the second half and eventually Benzema would get his revenge after a Toni Kroos through ball found James Rodriguez. The Colombian centered to Benzema, who then easily finished into an empty net. The initial ball to James seemed to be offside, but after the missed penalty call in the first half, it seemed Madrid could care less. Two more chances would come, but Adan would prove to be the hero of the night. A fantastic shot outside the box from James, seemingly earmarked for the corner of the net, was tipped wide by Adan. And another Benzema chance, this time from the edge of the six-yard box, was barely deflected by Adan. Madrid now dropped to four points behind the leaders and it could be seven with Barcelona still yet to play their game in hand. It's still not exactly over, but it's beginning to look like any chance Madrid may have of silverware this year likely lies in the UEFA Champions League. Cristiano Ronaldo next game will be for Real Madrid in La Liga on the 31th of January of 2016, against Espanyol. You can watch Juventus live stream, Real Madrid vs Espanyol, Barcelona vs Athletic Bilbao, Liverpool vs Stoke City, Juventus vs Inter Milan, and Mainz vs Borussia Monchengladbach, all matches provided from our live soccer game pages.